After the previous year's foray into deep space on The Tremelo Of Her Mind/The Strings Of Her Soul, the Dipsomaniacs return to the Camera Obscura label and a new set of their meticulously crafted pop-psych songs. Throughout the album we're treated to 3 minute wonders full of beautiful harmonies, immaculate production and damn fine songwriting. Piano is prominent throughout the album, trippy 60's organ, occasional string sections, and we're even treated to banjo on the bouncy "No. 2 Ventricle Road", a song with standout harmonies. Among the other highlights is the folk-psych tinged "Don't Think You're Safe". "How To Fall" sounds like a long lost Simon & Garfunkle song. "Beyond Repair" would be very much at home on the Beatles' Revolver, the vocals having a kind of "She Said She Said" feel. Electric Light Orchestra comes to mind on "Someday Soon". "Feel The Travel" takes us into more purely psychedelic territory, bringing back luscious memories of the best of 60's psychedelic pop. And dig those spaced out guitars on "One Good Cry". The space continues on "Dead Men Free", a very nice song which is embellished by freaky alien synths. "Praying Winter" glides through space-pop dreamland. And "Caught By This Feeling" is one of the most powerful and emotional songs of the set. One of my favorites. In summary, this is the kind of stuff that made hit albums in days gone by. If you've got an appetite for great songwriting, solid group playing that focuses on interpreting the song, and excellent vocals and harmonies, all propelled by a pop-psych sensibility, then you'd be hard pressed to do better than this. 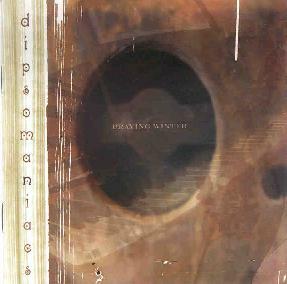 For more information you can visit the Dipsomaniacs web site at: http://www.dipsomaniacs.com. Praying Winter is distributed by Camera Obscura. You can visit their web site at: http://www.cameraobscura.com.au.